WordPress Framework with Intuitive Backup Functionality for Better Local Development and Option-Router! A new version of Xtreme One, the WordPress Framework, was released last week. It includes two major new features. With the new developed Option-Router it's possible that the Childthemes manage their own settings, layouts and additional all used Widgets with all their content. That means, you can switch between the Childthemes and have the specified settings for each Childtheme, without adjusting the Childthemes again after switching. The second highlight is the new Xtreme Backup. 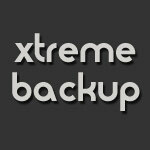 Xtreme Backup enables you to save the complete configuration of your Childtheme and your Widgets as a XML file on your computer. Therefore you can develop local or on another server, create backups and use them right away on your live system. A matter of seconds! These two new features, optional HTML5 output and infinitely different layouts and the userfriendly backend makes Xtreme One become the most innovative WordPress Framework. Xtreme One costs only $79,95 and can be purchased here. One minor problem for any web site is duplicate content: the same resource is available under different URIs. Yes, we have <link rel=canonical>, but anything that prevents such cases is better. Today, let’s look at something, that most professionals never see: empty searches. You offer a search input field, and someone hits the submit button unintentionally, without any term entered. The resulting URI looks like this: example.com/?s=. It shows the same content as your front page. In fact, it is the front page. Add these lines right after the RewriteBase directive. msg          : "Don’t waste your time with an empty search!" After the international launch of Xtreme One WordPress Framework we received quite a few questions, how we have realized the pages and whether we have used language Plugins. All blogs are powered by Xtreme One (what else?) and 3 Childthemes. The Childthemes have their own textual domains to be able to use 2 languages. There are the strings included that do not occur in the framework. We don't use a language Plugin. We write in English and German. The themes, showcases and testimonials are Custom Post type with some additional custom fields, such as the Buy-Link, the price etc. . For the output of the testimonials I built a widget where I can display English or German. Since we are using on different subdomains some of the Xtreme One Widgets, such as the slider for the Childthemes, I modified the widgets a bit, so that they can execute multi-site queries. Via a selectbox I can choose which blog I want to query. Every Childtheme Demo Blog runs on a separate subdomain. We wrote a small Plugin that creates the theme switcher. The Plugin adds in Super Admin at Sites, an extra box, with the demo blogs are selected. The data for the price and the purchase link will then be queried by xtreme-theme.com and generates the Switcher. If I add a new demo blog, I just have to check the checkbox and it's ready. 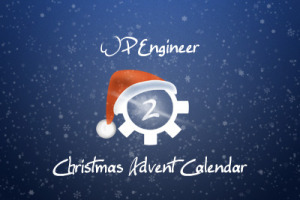 We wanted the main page, the documentation and the knowledge base to be in a different look. We realized it with 3 Childthemes, and up to a few small changes to the templates, we just changed the CSS and other graphics are used. The entire header with the two navigations are the same on all domains, so it keeps the same look and feel for the navigation for better usability. We use only the WP Menu, which I don't wanna miss again. For the flags in the navigation, we used the CSS classes en and de and styled accordingly. Such a thing was previously not so easy. Integration of the many different layouts and sidebars was with the layout manager of Xtreme One only a matter of minutes. Select desired containers, set width, select sidebars and hit save. So all core functions of Xtreme One. Only for the integration of Google Analytics and a few little things that happen at all Subdomanis, I've written a Plugin to not do these things more than once. It was and is an exciting project and there is much more to come. 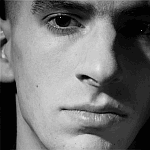 Now and then you need in a post or page a catchy image. 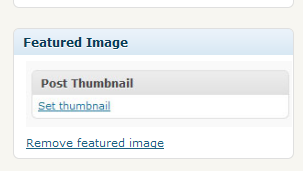 For editors the thumbnail function is quite comfortable to assign an image to a post or a page. Therefore it is worthwhile to use this picture as a background image for the post. However, it is much better if the image is defined via CSS in the background and it doesn't appear in the markup. Therefore, a small function that defines a default image and if there is a defined post thumbnail, then this will be used. In a previous post I wrote about the possibility to adjust the login page in your WordPress backend. But I still receive a lot of questions about it and I would like to point out three simple ways, so that you can customize with little effort the login page to your site - a nice added value in terms of customer projects which makes it look more professional instead having always the WordPress logo and the link displayed.